OPINION: How do MHS Students Approach Political Discourse in the Classroom? With our country more divided than ever, political opinions flow rampantly through everyday conversations with friends, classmates, and even strangers. People’s political stances are often made apparent through their comments, clothing, and overall attitudes towards current issues. As much as teachers try to keep politics out of classroom discussions it is many times inevitable. These discussions cut the relationships between many students. McIntosh is a school filled with wonderfully diverse people; ideas differ through groups on many political subjects including gun control, abortion, LGBTQ+, and immigration. Conversing with people of opposing viewpoints may pose a challenge in this day and age. Luckily, McIntosh is a civil school, in which students can feel safe to speak about what they believe in – but that doesn’t mean it won’t create a backlash from other passionate students. The question isn’t if tension exists; the question is how much tension exists and how many students have been exposed to it. Ms. Jane Edwards, a World Literature teacher, said “I don’t think the adults in our society are setting a very good example of how to discuss problems,” Mrs. Edwards added. “It would be hard for students to rise above what the adults are saying.” Through Ms. Edwards eyes, the adults in our society are not setting a good example of how to speak respectfully on these subjects. Sophomore Lila Slay holds similar beliefs regarding teens and politics. “Today teenagers have stronger opinions about politics than adults had because they want to get involved and use their voice,” Slay said. 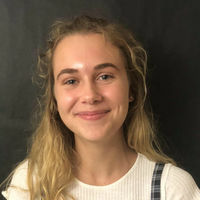 Vice President of the Young Libertarians Club, Riley Campbell, has also been told that due to her youth, she’s not truly able to discuss politics. “People tell me that I am too young to be interested in politics because I can’t even vote yet, but I do not think that could be more wrong. Teens are the politicians of the future, and I think we should be as educated as we can be,” Campbell said. A common theme shown is that students are more politically active than ever. Both the left and the right can agree that teens are more involved than their parents and grandparents were when they were adolescents. Kids aren’t just involved, though, kids are passionate. There is an abundance of teens who are passionately rallying, protesting, and petitioning. The faces behind the protests are looking younger and younger it seems.